Welcome to a world of intrigue and suspicion. Where humans and robots contend with escalating tensions and mutual distrust. And where gangster felines scheme their way to the top of the food chain. Welcome to the Tales of the Neon Sea! 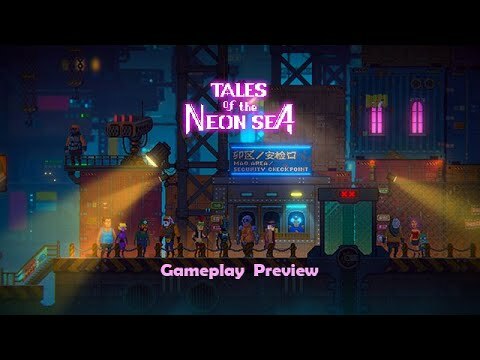 Boasting stunningly detailed pixel art, and featuring a twisting story of mystery and suspense, Tales of the Neon Sea is an exciting new adventure from Chinese indie studio Palm Pioneer. Set in a fully realized cyberpunk cityscape, use your wits and puzzle-solving skills to determine the course of this unique tale. The upcoming Tales of the Neon Sea PC release date is April 30, 2019 in the US and the UK. Notify me when Tales of the Neon Sea is available.